I’m happy - and relieved - at the response to Hame. I am so very much an amateur at all of this, but trusting the experience and skill of professionals who have proven themselves over and over again with the highest quality work. Friends and neighbours are talking to me, Portavogie folk are very happy with how the village was portrayed, and the early word on the Raphoe programme is full of the same positive ‘happy vibes’. I can’t list them all here. But here is just one. On Saturday, a now-elderly gentleman, with flowing white beard, came up to me in Donaghadee. At first I didn’t recognise him. He’s 81 now but I remember him from when I was wee, as he was a builder by day but also a frequent, very powerful, preacher in the halls around here. In later years when I saw pictures of John Caldwell Calhoun, he reminded me of this man. ‘Are you that Thompson fellow?’ he said to me, introduced himself and then flowed into a few minutes of fond warm reminiscence. He spoke at my grandmother’s funeral, both up at the wee house at Ballyfrench and down at the graveside in Ballyhalbert after we had cairryt her doon tha brae. He also spoke at my aunt Doris’s funeral service at the People’s Hall in Portavogie. He was thrilled by the programme. I am reassured that television professionals and culturally-minded people are happy with the series. I am humbled when local folk whose place and story we all sought to tell are happy with the end result. But when a man like this, whose voice I sat under frequently on Sunday evenings for maybe 20 years, tells me with excitement how he sang along with Pull For The Shore, with a twinkle in his eyes and a big beaming smile on his elderly bearded face, I know we’ve done a good job. "Scotch Irish ... heathen Republicans and Presbyterians"
When I looked up the caucus, I couldn’t find any list of Republicans. Why’s that? Because they’re ashamed of it. [Note to reader: There’s no indication this is true.] Because there’s Irish, which means they’re all Dems. But then there’s Scotch Irish, who are not God-fearing Democrats, but heathen Republicans and Presbyterians. Make of that what you will! Full interview is here. John Stevenson (1851-1931) is another of our under-appreciated writers. He was one of the partners of the renowned printing firm McCaw Stevenson & Orr, which still exists today as MSO Cleland and was fairly high profile in Ulster business and literary life. He was born in Rostrevor in 1851 ‘where his family were temporarily residing’. His father, also called John, had been the manager of Linfield Mill in Belfast, and the younger John took a job with Barbour’s Linen Mill at Hilden. He lived in Bangor briefly (the family had a property near the Dufferin Demesne called ‘Everton’ which was sold in 1874) but for most of his life he lived at a house named ‘Coolavin' on the Malone Road in Belfast. He was a Fellow of the Royal Society of Antiquaries, Chairman of the Board of the Ulster Hospital for Children and Women on Templemore Avenue, a member of the Kirk Session of May Street Presbyterian Church and later Fisherwick Presbyterian Church. He was also involved in the Belfast City Mission. He died at ‘Coolavin' in early June 1931 and had an ‘eloquent tribute’ at Fisherwick by Rev John Waddell, and was buried at the City Cemetery. ‘Coolavin' had a summer-house decorated in scriptural and literary inscriptions. His wife Catherine died at Coolavin on 28 February 1954; the house was replaced by ‘Queen’s Elms’ in the 1960s. He wrote the excellent popular history Two Centuries of Life In Down, 1600-1800, published in 1920 (online here) and a number of other books. 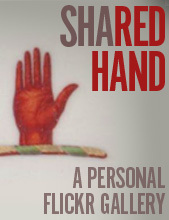 His first was a collection of poems and short stories using an alter-ego character called Pat M’Carty. These had first appeared in a periodical called The Pen, and so impressed was the Marquis of Dufferin and Ava that he called at Stevenson’s office to find out who Pat M’Carty was! 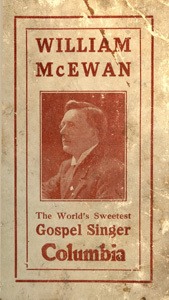 The full volume appeared in 1903, entitled Pat M’Carty - His Rhymes, and included some Ulster-Scots translations of some of the Psalms. I have made good use of these over the years. An online edition is available here. Some of the Rhymes were later set to melodies by Sir Charles Stanford, and sung by Harry Plunket-Greene - the British Newspaper Archive refers to ‘Cushendall', 'The Crow', ‘Night' and 'Daddy Long Legs' being performed in the Aeolian Hall in June 1910 as an 'Irish Song Cycle' - and also at Devonshire Park in September of the same year. Following a concert in the Free Trade Hall on 30 January 1911 a review in the Manchester Courier described them as ‘excellent examples of the peasant lore of the country’, giving special mention to pieces entitled 'Did You Ever’ and ‘How Does the Wind Blow?’. Stevenson’s A Boy in the Country was published in 1912 and is online here. He also published his own 1917 translation of De Latocnaye's A Frenchman’s Walk Through Ireland, which dates from 1796-7 (online here). This includes the now almost immortal line ‘Belfast has almost entirely the look of a Scotch town and the character of the inhabitants has considerable resemblance to that of Glasgow’. Prominent people of yesteryear were completely comfortable with all aspects of their Ulster-Scots heritage. Here is how John Stevenson / Pat M’Carty expressed the concept of ‘hame’. Really good stuff. Well this week will be interesting! After many months of filming, working with really great people, travelling across Ulster to six places seldom seen on tv, ‘Hame’ will go on air next Sunday night, on BBC2 Northern Ireland, at 10pm. We recorded the promo adverts at our kitchen table last Friday so I think they’ll be broadcast over the next few days. I like Belfast. I chose to stay here to study and work when many of my peers went to Scotland or England. There’s life beyond greater Belfast, but greater Belfast issues, voices and viewpoints tend to dominate our airwaves. It’s as much about the mindset as it is the geography. 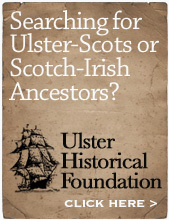 Ulster-Scots exists in the city too, but well below the usual media ‘radar’. It is indeed a ‘very Scottish city’. But there’s another, rural, world here in which authentic Ulster-Scots lives and breathes. Ulster-Scots works best when it’s expressed at grassroots, even when those grassroots are imperfect and maybe not as knowledgeable as they might be, or as their grandparents were. But they are still the 'keepers of the flame'. You can’t invent authenticity and enthusiasm. The best thing to do is to meet those folk on their own terms and let them speak for themselves. And that’s pretty much what we did. I am glad that Sean and Fiona and Michael coaxed me into doing it. I'm co-presenting with the very wonderful Ruth Sanderson, well-known to viewers of HomeGround already. I'm just the new boy! It’s been hard work, but an honour and pleasure to have been involved in. It’s taught me a lot about how tough it is to make a tv series. It’s shown me that within the broadcast sector there are people who care (my experience over the years of trying to engage with that world has been pretty mixed). I think that their professionalism, talent, care, attention to detail, empathy, and understanding of tradition, shines through. But ultimately, Hame is about the people and the places that we visited and spent time with. Tune in and see for yourself. As the old motto says, Gang East, Gang West – Hame's Best. Wrapping this story up. What we’ve seen in this series of posts is that the Milligan family as a whole - mainly through the influence of their antiquarian and wealthy father Seaton - had a very wide range of cultural interests and allegiances. The best known of these are Alice’s celebrated Irish nationalist cultural activities and sister Charlotte’s work on Irish traditional song. An Ulster History Circle blue plaque in Omagh Library recalls them (image here). Yet to us today it might be a surprise to find that there were also brothers, William and Charles, who served in the British Army and Royal Navy respectively. Charles lived until 1983, and served for over 40 years as an Alderman and Councillor in Bangor. Alice’s Shan Van Vocht magazine touched a little on what she called ‘broadest County Down Scotch’, and as a short-lived publication it deserves further investigation, as do her archives. But younger brother Ernest’s 1907 booklet Up Bye Ballads is the strongest example of Ulster-Scots awareness and appreciation within the family circle. As far as our understanding of ‘identity’ goes, the Milligan family pretty much has it all. My take on the 36 poems and songs which make up Up Bye Ballads as a collection of poems is that they're a good quality appreciation of rural, Ulster-Scots tinged, life in Ards and North Down. I don’t think Ernest Milligan was setting out to be a major league poet, perhaps the collection was just intended for a fairly limited readership in the area. It’s interesting that they were widely reviewed but that could have been as a result of the Milligan family’s wider social influence. It would be particularly interesting to see if the North Down Herald reviewed it. So it’s unwise to retrospectively invest Up Bye Ballads with huge literary or cultural significance. It’s also a shame that Ernest's 2 or 3 youthful years of socialist activism with James Connolly add an extra reason for interest, because the poems themselves warrant their own attention. • Gangin Up Bye – a romantic story of a young man helping a farmer’s daughter bring the kye hame, wooing and eventually marrying her. The story is set at ‘Portavoe wood’ which is where the Milligans’ first holiday home, called ‘Angus Cottage’, was situated. It has a chorus so was intended to be sung. Pretty good Ulster-Scots, with the possible hint of it being autobiographical of a teenage romance Ernest may have had, or observed. • Kate of Carrowdore – A standout piece, one I had been searching for for many years. • M’Cready’s Call – A conversation of a much-loved minister accepting a call to move to a bigger, and more lucrative, congregation. Touches of the structure Robert Burns made famous, ‘standard habbie’. • Crossin' the Sound – A foreboding tale of a young man living with his widow mother on the Copeland Islands, who has promised to meet his true love in Donaghadee. His mother warns him not to go, he goes on regardless, and ends up lost at sea just as his father had been. • The Baker’s Man – A horse & cart bread delivery man’s story of his daily journeys, with a romance incorporated - ‘but de’il the bit she’ll stir, fu’ weel, she ken’s it’s nae her master’. • Sing Bonnie Bird – A three verse song, more references to whin bushes, nice turn of phrase when he refers to ’the moss yestreen’. • When Daddy to the Town has Gane – A girl’s romantic rendezvous with her boyfriend when her father is away. • Christmas Eve – An interesting one, 11 verses long, blending Biblical references with local tradition and social reunion. References to parlour games. • The Bonnie Birdie – Simple, with some light touches of real wordcraft - ‘Me heart’s sae sair and’ lonesome now, mair mournfu’ tune were fitter’. The Ulster-Scots is pretty good, although inconsistent. You can tell he was learning, rather than had grown up with, the words and expressions. He uses English words in places where a ’native speaker’ just wouldn’t, for example ‘own’ instead of ‘ain’. But he deserves full credit for them. And it is tantalising that in the 1930s, as an England-based doctor and occasional playwright and broadcaster, his radio programme The Ballad Singer was made up of songs that he had written. Perhaps some of the Up Bye Ballads were used. The performers were of a credible standard - Charlotte Tedlie would appear alongside Richard Hayward in the 1936 film The Luck of the Irish. Hilda Johnston, James Stewart, J.R. Mageean and the others listed in the radio schedule below were all frequently featured on BBC programmes of the era. I’ve wondered what the tunes might have been, and until some ancient recording surfaces we’ll never know. So for now I have begun to compose simple melodies and have performed ‘Kate of Carrowdore’ and ‘Six Road Ends’ at a few local events, where they’ve gone down really well. It’s a joy to take Ernest Milligan’s Up Bye Ballads back to the people and places they were first inspired by, and intended for. They work well as songs for a present-day audience, whose Ulster-Scots is light-touch, and a kind of speckle of words within their everyday speech. That being said, the words are an audible enough kenspeckle (definition here) to be noticed as unique local Ulster-Scots landmarks in their own right. There is still enough of what Alice called 'broadest County Down Scotch' to make the poems, or songs, special, and to stamp them with rich local provenance. Ernest Henry Marcus Milligan (1879–1954) was born in Belfast. He was educated at Methodist College Belfast, after which he went to Queen’s University to study medicine, passing his first medical examination there in July 1899. It seems that he also studied Law for a time at Trinity College Dublin. In early 1897 his influential sister Alice Milligan (14 years older than Ernest) recommended that when he was next in Dublin he should meet with James Connolly, who had been contributing to her magazine Shan Van Vocht. Ernest also contributed to Shan Van Vocht. Ernest’s reminisces of his time with Connolly were published in June and July 1943 in a two part article in the pages of Irish Freedom magazine (PDFs are online here). A mixture of youthful exuberance and ideology would drive Ernest’s energies for a number of years. ‘a member of the Gaelic League and an ardent Nationalist, with my head full of ’98 and its horrors … I was more or less a Socialist, of the Christian Socialist type … I could not understand why all true Christians were not communists!’. Ernest echoed Alice’s activism, which he surely would have observed and learned from. Even though just 19 years old, he founded the Belfast Socialist Society in September 1898, with members such as Robert Lynd and Arthur Gaffikin, a former Salvation Army man. This book also refers to Samuel Porter and James Winders Good, and Milligan made efforts to recruit William Walker (Wikipedia link here; one interesting text of later dispute between Walker and Connolly is online here.). There was also a 'Christian Social Brotherhood' in Belfast at the time and Milligan joined it as well. Gaffikin and Milligan took to the streets, attracting crowds in Sandy Row (but they were soon chased out) and the poorer parts of the city. Milligan’s mother Charlotte came along too and supplied refreshments to the crowds. Ernest Milligan and James Connolly were in regular contact through 1897 and 1898; Milligan sold The Workers' Republic newspaper around Belfast, but he said that the Catholic Church banned the paper and sales fell. In 1898 he was a committee member of the Belfast Gaelic League and also a key member of the Irish Socialist Republican Party. His signature appears on an Irish Socialist Republican Party accounts book, from the years when he sold the newspaper on the streets. But in 1899 Ernest Milligan fell ill, he recalled that this happened just a few hours after a meeting with Connolly. It resulted in Milligan being bed-ridden for six months, with an enforced break from his university studies for a further 18 months, not fully recovering until 1902–3. Perhaps this illness dulled some of his ardour for the ‘cause’, or at the very least took him away from revolutionary politics, as he appears to have settled down into comfortable Belfast and north Down life. In 1902 The Northern Whig printed a letter from Milligan as a member of Bangor Rugby Football Club, complaining about a technicality in the rules of the game. That same year he was a founder member of Ballyholme Sailing Club, and in 1903 was pictured at a club meeting, sitting right beside James Craig, the future first Prime Minister of Northern Ireland. Ernest Milligan resumed his studies and passed his second medical examination at QUB in April 1902, his third in May 1903, then Trinity College final professional examinations in January 1906, for which he was congratulated by his fellow members of Ballyholme Sailing Club. He finally gained his Royal University of Ireland M.B. B.Ch. B.A.O. in May 1906. I don’t yet know when he began to write the poems which would eventually form Up Bye Ballads, but some began to appear in the Northern Whig. 'The Braw Whin Bush' appeared in the Whig on 22 June 1907, openly attributed to Ernest Milligan, composed in praise of the humblest of all hedgerow flowers, with the final line urging ‘Men of Ulster, let your token be the braw whin bush!’ A few weeks later on 6 July, 'The Auld Red Cart' appeared in the same paper, again with Ernest Milligan named as the writer. There may have been more in the Whig, but it was December 1907 when a 54 page collection entitled Up Bye Ballads was published, printed by W&G Baird, under the pseudonym 'Will Carew', with a cover price just one shilling. I’ll work through them in the next, final, post in this series. What the significance of ‘Will Carew’ was as a choice of name, I’ve yet to discover, and it's all the more odd given that Ernest Milligan had already been named in the Whig as the author of some of the individual poems. There had been a character of that name in a boys' adventure story from 1884 entitled Charlie Asgarde: The Story of a Friendship. ’neat little volume … the majority of the poems are written in the County Down dialect, and it will be found that the author has been true to the characteristics of that county … delightfully characteristic ballads. ’… a collection of quaint Ulster verses, of tuneful rhythm and much readableness. The writer has a good style and tells his little rural stories well’. In these days, when the chief city of Ulster and many towns and country districts all over it are become working centres of the Gaelic revival, a book of verse like this will almost a shock to the Irish-Ireland reader. He has been busily working for the de-Anglicisation of the Irish nation, looking forward to an era when the West British shoneen will be extinct, end behold here is reminder that there exists within the borders of our island country population which is not West British nor shoneen, which has not got to be de-Anglicised, for the simple reason that its speech is not English, as we know it, but Lowland Scotch. The people speaking tongue are to found mainly Antrim, Co. Down, but also on extensive tracts of land in the North-West, coming right against the Gaelic frontier of Tir-Conal, in the Laggan district, it is called, in Donegal. But let not the Irish-Irelander brand those survivors the Ulster Plantation as aliens and foreigners. This Scotch-Irish dialect, so ragged and almost distasteful to our hearing, was the speech of men who stood side by side with the Northern Catholic Gaels on the battlefields Antrim, who camped on the wooded height of Ednavady, and lined the ditch behind “Saintfield Hedge in the County Down.” was the mother tongue James Hope, and the congregations of those United Irish Presbyterian worthies, Porter, and Steele, Dickson, Kelburn, and Warwick. All the same we welcome this volume as evidence of the fact that the Scotch-Irishman has not lost the gift of song. The subjects are homely and natural; the verses fluent and tuneful. The satire in “The Ministers Call” and “The Six Road Ends” will be appreciated in Presbyterian circles. There are local poems for many of the North Down villages – Carrowdore, Comber, Donaghadee, Ballylesson and Bangor. In December 1908 he married Sara M’Mullan of Grange, Armagh, at Grange Parish Church. As a newly qualified doctor he was involved in the establishment of the new Belfast branch of the Womens' Health Association at a high society event in City Hall in October 1907. On 12 October 1909 the Irish News printed a poem he had written in praise of Queen’s University, entitled 'Welcome! Q.U.B.'. In 1910 he was a member of Royal Belfast Golf Club, among the cream of Belfast merchant wealth and gentry. In July 1911 he gained a Diploma in Public Health from Dublin University. During all of this, his poem ‘Six Road Ends’ from Up Bye Ballads was selected for inclusion in The Book of Irish Poetry, a collection (online here) dedicated to Douglas Hyde, son of a Church of Ireland rector who became the first President of the Gaelic League, and first President of Ireland. Perhaps he and Ernest were friends. This letter, to William X O’Brien, would be worth a read, written from Ernest’s home of Spire Hollin House in Glossop. He also wrote Muggleston on the Map: A Municipal Mockery (1934), The Mayor Chooses A Wife (1935) and ’Twas In Old Ireland Somewhere (1936; said to be set in ‘an Ulster farmhouse not far from a thriving town on the evening of the monthly fair). Below is an extract of a Whig article from 24 April 1936. On 27 October 1938 a letter of this title from Milligan appeared in the Northern Whig, a powerful appeal to God’s providence, to prayer, and to the growing threat of Germany and Nazism, stating ‘these are grave times. The very fundamentals of religion as well as our liberties are in danger… Ulster can initiate a new and better epoch in a troubled world…’. When Alice died on 13 April 1953, Ernest made contact with a well-known Irish Republican Brother W.P. Allen to ask him to write a biography of her. Allen collected all of her papers and stored them, but never wrote the biography. Apparently these archives are now in Omagh Library (see page 97 here). Ernest died less than a year later, at Hadfield in Derbyshire on 21 March 1954, aged 75, and was buried at Glossop cemetery. You can read his obituary here on GlossopHeritage.co.uk. An obituary also appeared in the Belfast News Letter.